“iPhone SE” is very popular in Japan. And many people expected “iPhone SE2” in the yesterday’s special media event. However, Apple did not introduced the successor to the iPhone SE. Moreover Apple discontinued the iPhone SE. Apple also has stopped selling iPhone X and iPhone 6s in the Apple’s online store, following the unveiling of the iPhone Xs and iPhone XR. But the impact of missing iPhone SE is pretty big in Japan. 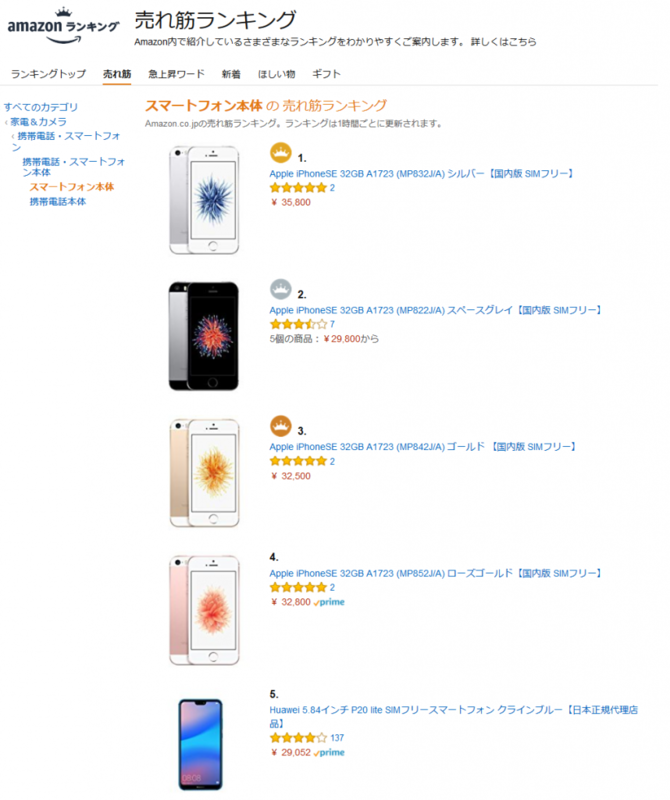 Now iPhone SE ranked in the top 4 on Amazon Best Sellers of smartphones in Japan. This entry was posted in Apple, iPhone and tagged Apple, iPhone. Bookmark the permalink.